Software usage license (Software) — authorisation in the form of a transfer whereby the Rights Holder (its licensee or sublicensee) transfers to the End User the non-exclusive rights to use the Software in a way that is limited to installing, launching, and writing it into the memory of a computer anywhere in the world within a specified period of time and under the conditions defined by the Rights Holder. Pirate — a person who uses the Software without a license or after their rights to use the Software have been terminated; this includes using the Software after a license is expired or has been revoked. Pirated key file — a file that ensures the operation of the Software that is used by a person (not the owner of the license for the Software) who does not have the non-exclusive rights to use the Software or whose non-exclusive rights have been terminated, or by a person who has violated the License Agreement concluded with the Rights Holder. Blocking — termination (including early termination), cancellation. Replacement — the receipt by the End User of a key file capable of ensuring the Software’s ability to operate under conditions identical to those of the blocked key file. Legal owners of commercial Dr.Web licenses for the Software are entitled to replace their blocked Dr.Web key file free of charge, except in cases when the license expires in 30 days or less. In such cases, the key file won't be replaced and the license must either be renewed or expanded. To replace a key file, the owner must contact Doctor Web’s technical support service and submit documentation proving that they have the non-exclusive rights to use the Dr.Web software (a photo or scanned copy of the license certificate, or the license receipt, or the email from the eStore confirming payment, or other documents that may serve as confirmation). 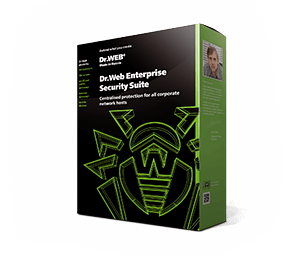 Dr.Web key files for non-commercial licenses or OEM licenses cannot be replaced.